We want you to get the best return on the investment you have made with us. That is why we recommend attending the Cirrus Product Training Course (CPTC). This one-day event that has been designed to help you get the best from your equipment and to help you understand how the instruments work. 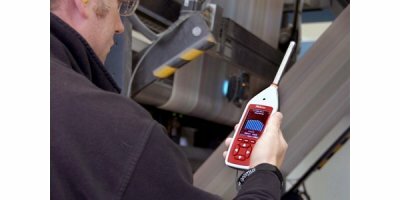 Alongside others users and our own experts, you will get to know how your equipment works and how it can best be used to measure and monitor noise levels in your own environment. We also cover the basics of noise where needed and using the NoiseTools software to make sure you know how to download and view measurements. By the time we finish, you will have a solid understanding of how to use your equipment, what it can do and how to get the best from it. Ideal for old and new customers alike, the course also acts as a refresher course for customers who may not have used their noise measurement equipment for some time. Complete the form or call us today on 0845 234 2030 to find out more. Are you looking for training on your Trojan Noise Nuisance Recorder? Have a look at our Noise Nuisance Workshops. No reviews were found for Cirrus Product Training Course. Be the first to review!